Australia's Number 1 Website for Students With Free Classifieds and Career Advice. Congratulations, if you made it to the assessment centre phase of a company’s interview process you have most likely survived the application form, psychometric test, and/or video interview. Now, you have been invited to attend an assessment centre as part of the hiring process. The problem is, you are not exactly sure what to expect. Don’t worry I am here to outline for you everything you need to know about the assessment centre. What is an Assessment Centre? An assessment centre is a combination of interviews, tasks, and exercises, making up the final step of the hiring process for graduate-level candidates. 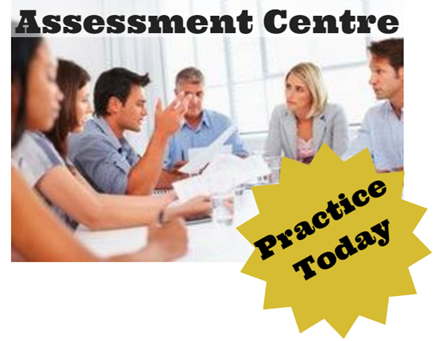 The assessment centre can occur at the company’s offices or in a private testing centre. The assessment centre exercises are given both individually and in a group. These exercises provide your future employer with an idea of your capabilities and an overview of how you perform in specific work-related situations. The assessment centre day is usually used by graduate employers who desire many candidates for a similar position. What is the format of the Assessment Centre? Before arriving at the assessment centre day, you were most likely asked to take a series of psychometric tests. Even though, you completed these exams most employers will require you to take aptitude tests, like the Matrigma Test, SHL style Test, or Watson-Glaser Test, and/or personality tests again for verification purposes. These verification tests may be shorter than the original. It is important to review for these exams in advance. Before coming to the assessment centre ask the HR representative what type of tests you can expect. During the assessment centre case study you will be provided with a brief, ranging from 5-15 pages, to review. The subject of the brief may vary, but it will most likely be connected to the type of work you will do on the job. You will then be asked to analyse the information in the case and make decisions exercising your professional judgement. In this portion, you will be given either a paper-based in-tray or computer-based e-tray exercises. You will be given a series of emails, reports, messages, and other correspondence, along with information about the company’s structure and your position. You will be evaluated on your ability to prioritise, task manage, reply to messages, work with supervisors, and decide on actions. This exercise is used to assess how you manage your time and complete complex tasks. To excel at this task, you need to plan appropriately and organise your time. You should be prepared to defend why you made certain decisions. Depending on your employer, you may be asked to prepare a short presentation, either at home or on the assessment day. You may be provided a topic for the presentation or you may be allowed to choose one yourself. Your employer is looking to evaluate how you present yourself. They are analyzing whether you portray information in a clear and concise manner. You should be ready to answer questions and receive comments related to the presentation. In this section, you will be asked to complete a group exercise, to either create something or discuss information and reach a conclusion. In many cases, everyone in the group will be given an individual role and additional information only he/she knows, in addition to the group information. The purpose of the activity is to assess how you work in a group. The employers will focus on your ability to plan and problem-solve in a group. The outcome of the assignment is less important, rather they are assessing the thought process and actions of both the group and the individual. You might be requested to partake in a role-playing exercise. In this exercise, you will be provided with background information and asked to play a role that is similar to the position that you are applying for. The role play scenario will most likely present you with a work-related dilemma and require you to solve it. This is an interactive task which focuses on your communication skills, and your ability to make on-the-spot decisions. As you know interviews are an essential part of the hiring process. Depending on the employer the assessment centre day may include more than one interview. The interviews may be given by hired HR representatives, members of the company’s recruitment team, and/or members of the team you will join. Each individual company has a different interview process which may include any/all of the following: a competency interview, partner interview, panel interview, and/or technical interview. The interview portion is one of the most important parts of the assessment centre. Therefore, it is important that do your research in advance. Which employers use assessment centre days? Assessment centres are usually used by larger graduate recruiters to find the best candidates. Companies such as Accenture, Ernst & Young, KPMG, and PwC use an assessment centre in their recruitment process. Why do employers use assessment centres? Employers believe that assessment centres are the most accurate way to parse out the best candidates for a position. Assessment centres focus on key competencies specifically matched to those needed for the job. Companies invest a lot of money into the assessment centre, and therefore they make the tasks extremely challenging. Only the top candidates reach the assessment centre, and only the best of those get hired. How can I make sure I am prepared for the assessment centre? This article was contributed by Jennifer Feldman. She is a speech and language expert and blogger for JobTestPrep. She specialises in writing about the employment hiring process. Excellent post.I want to thank you for this informative read, I really appreciate sharing this great post. Keep up your work. Sorry for the late reply. Thank you for your encouragement Christopher! We’re glad that you found it useful. What Are Hogan Assessment Tests and How to Ace Them?